Rated 5 out of 5 by Pikelet from I'd give it six stars if I could! Fantastic game! Like the MCF of old with better graphics and a few extra tweaks. It's not always easy to do the level in the time scale (those morphing objects are tricky) which adds to the fun. I hope they do more games like this - I absolutely loved playing it! Rated 5 out of 5 by c2camfan from Wow! Why is this not getting 5 stars from everyone? If you're a die-hard MCF fan, then this will be a pleasant throwback to the original games. I'm only a few rooms in so far, but wow, I am really impressed. Eipix has impeccably remained true to the MCF theme with this latest addition to the series. Also, the voices (so far) actually match the characters and are really well-played. I hate voice overs where the voice doesn't come close to matching the age or character. Not so with this one. I could say so much more, but others here say it better. I can't recommend this game enough, just get it - you won't be disappointed. Rated 5 out of 5 by patjames904 from One of the Greatest Games EVER!!! I have been a member of Big Fish Games since April of 2010. Over that time, I have purchased almost 400 games. This would rank in the top three. 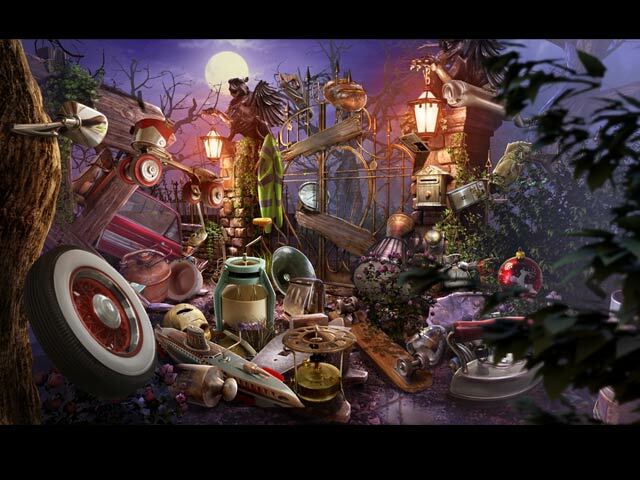 The hidden object scenes are great and the best part is the puzzle scenes where you have to figure out what to do first to go to what you need to do next and so on. I have had the most fun playing this game. 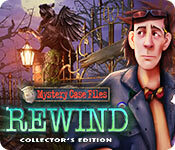 I so hope that they do a Mystery Case Files: Rewind II. 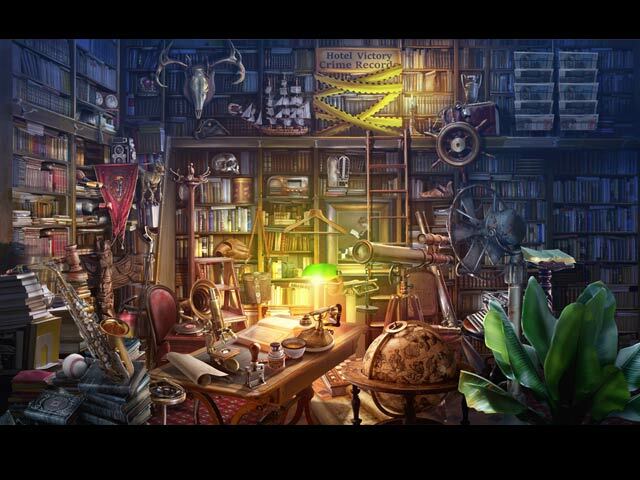 Rated 5 out of 5 by obione from Mystery Case Files rewind Collector's Edition I have always loved all of the Mystery Case Files, This one was no exception. Loved how you brought back some of the older suspects. Please, Please make more of these great games. As far as I am concerned, not enough have been made. Just love the puzzles to solve as well. Rated 5 out of 5 by BrasheddLing from Thouroughly enjoying the game I have played every Mystery Case Files and just recently played Prime Suspects and Huntsville (for the umpteenth time) So they are still fresh in my mind. I was so delighted to see aspects of those games in this one. Along with more characters from past games. Haven't finished the game yet. I intend to take my time and just enjoy a trip down memory lane. Thank you developers! Rated 5 out of 5 by mizmoose from A perfect and replayable flashback to the original MCF games I got to beta test this and I had so much fun I couldn't wait to play the full game. Since then I've played it through three times! I have played MCF games since the very first ones. The HO scenes were almost identical to those early games. The only difference (which I find disappointing) is that you're searching for the same items every time. In the original two MCF games (Huntsville and Prime Suspect), if you failed to complete the HO scene in time, you'd re-do it, but with a different set of items to find. In the beta test version, you were required to play with the timer, just like the originals. I guess that I wasn't the only one to ask for a no-timer option! My vision isn't what it was 13 years ago and finding things can be a harder these days. Two of the puzzles -- recreate a picture about the suspect involved -- are also straight from the original games. Playing this game is so much fun. I'm so glad they went back to their original roots yet updated it for today's gaming. Rated 5 out of 5 by spoiledpup01 from So glad to see the MCF games back to good old days! This was so much fun! I joined Big Fish because of MCF games when they first came out! As time went by however, games got away from the original premise of Huntsville, Ravenhearst, etc. This is the first HOG that I've enjoyed in a long time! The only problem was game wasn't long enough!! Hurry up with another one! Rated 5 out of 5 by glb613 from Takes me back to the very first MCF games This game reminds me of the original MCF games which got me hooked on Big Fish Games. I went back to my purchase history and unfortunately, I can't play the original Ravenhearst or Madame Fate. I guess the newer operating system on my computer isn't compatible. I hope this is just the beginning of more games like this in the future. Good Job!!! Rated 5 out of 5 by julievg37 from Please give credit for a very nice version of the beloved!! They deserve a lot more praise for taking the time to go back to what we all loved and cherished about MCF! We all know it's gone astray but this is actually a VERY nice homage to the original. I mean what more do you all want?? The door puzzles, it's not a cookie cut adventure with a new title...this is pretty close with a perfect amount of updating of our beloved original. I give it a 100! They heard us complain and took the time to really embrace the gameplay of the originals and came up with a pretty fine addition. Very nice Epix and thank you for listening and working! Rated 5 out of 5 by kerisue96 from Gaming Review: Mystery Case Files: Rewind From Eipix Entertainment comes another hauntingly beautiful installment to the Mystery Case Files franchise: Rewind. Rewind masterfully brings back everything we’ve all known and loved about the MCF game series, throwing it all the way back to classics such as Huntsville and Ravenhearst. 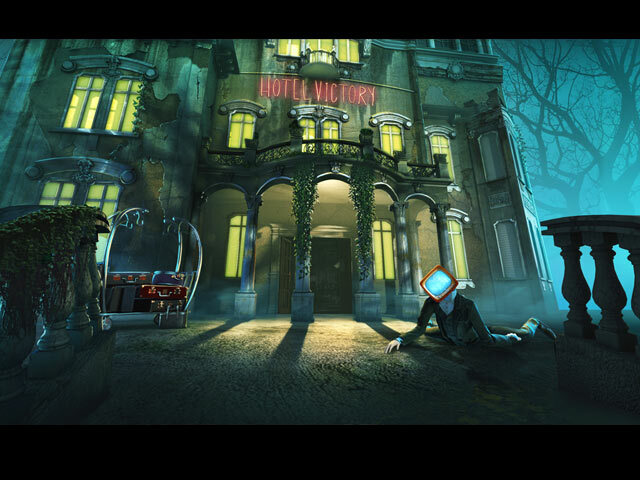 In Rewind, you play as the ever vigilant and highly intelligent Master Detective, who travels to the Victory Hotel. As expected, this is not your average, ordinary hotel. Upon arrival, you discover that the people from your past cases are trapped there, pulled from their own timelines by one from the evil Dalimar clan. Beat the clock and save the timelines in this MCF thriller of the year! Ratings (Out of 5) Fun Factor 5/5 I absolutely adored this game! I don’t think I’ve had this much fun with a Mystery Case Files game, or any HOPA game for that matter, in a long while. The fun I experienced was exciting and kept me on my toes. It elicited the strong urge of just wanting to keep pushing forward until you reached the end, except you never really wanted it to end. With new and old formats and game mechanics implemented, along with challenging puzzles, pretty and complex HOPs, and the heat of time on your heels, Rewind definitely maxes out the fun meter for me. Graphics & Sound Quality 5/5 I’ve always loved the way that Mystery Case Files was designed and put together. Despite being dark and dreary and creepy, it’s still so pretty. Each scene I encountered in this game was drawn up perfectly, and all of the colors just popped. This applies to not only still scenes, but cutscenes as well. The sound was also done well. Not too much or too little of one thing or ring. And if, for some odd reason, you wanted to skip over the cinematics and get right into the gameplay, that option was available to you. Level of Challenge 4/5 I played on the recommended intermediate, or Master Detective, level for this one, and I’m definitely pleased with my choices. It had the right amount limitations and hoops you had to jump through in order to progress through the game. They didn’t make it too easy for you, but it also wasn’t ridiculously easy. More challenging in some places, more breezy in others, the game had the perfect formulation of challenges and obstacles that led to a satisfying payout. Storyline 5/5 This story was so interesting and complex. It really captured my attention in many different ways. The story tapped into my nostalgia very much so, as it referenced many old games and cases that I had already played in the past, and I loved it. It was exciting, being able to relive the old gems, while still being able to experience something new and fun. And despite the many different storylines that were thrown in from previous games, it wasn’t jumbled and messy in a way that might have come off as annoying. The way it was written made everything flow together in this natural progression, even with all the mess. Yes, it was chaotic, but that fit the premise of the story of this particular game. The chaos almost gave off this vibe of a perfect storm, and I reveled in it. The only draw back I can see with the story in this game, is that if you have yet to play the game’s predecessors, you may have some trouble following along with all of the throwback references that make up what it is all about. But hey, even more reason to go back and play the old ones, right? Overall Rating 5/5 In my personal opinion, one of the best, if not the best, Mystery Case Files game I’ve ever played. Twists, turns, mystery, intrigue, challenge, fun – you name it, this game has it. There’s really not much else to say other than that this game rocks and you need to go play it. You really do not want to miss out on what this game delivers!